Hi Everyone, well here in Melbourne the days are getting shorter and colder, so I thought it would be nice to share some Chinese Diet therapy with you all. Congee’s are known in China as comfort food and are typically eaten all year round. 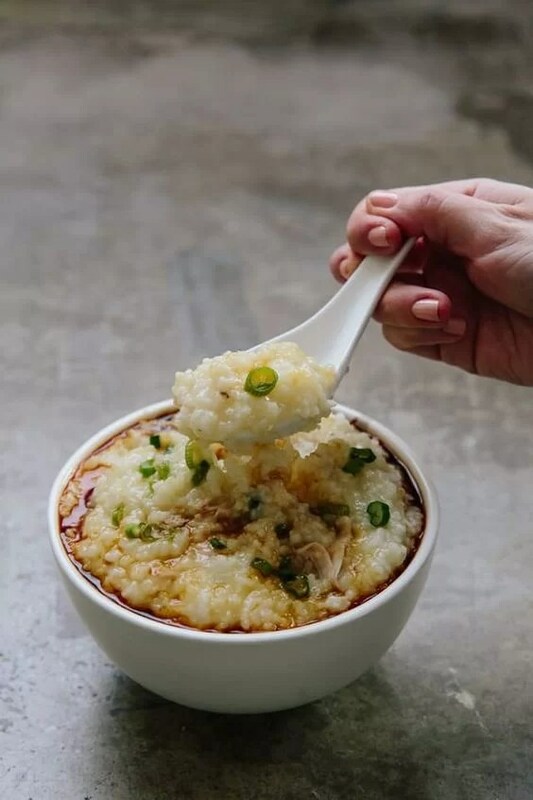 Congee is a terrific meal as it is easy to cook, full of nutrients and it helps to replace energy in the body and it also from a Chinese Medicine perspective tonifies the body. The spleen and the stomach which are our digestive organs are able to digest the nutrients quickly and easily, giving us instant energy. 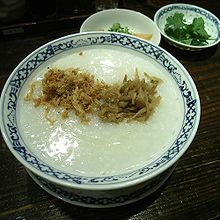 Congee’s can be eaten at any time of the day, they can be thin or thick, but the basis is that it is cooked rice porridge. It is usually silky in texture and you can use any ingredients that you would like. Congee’s are a great meal for recovery during the post-partum period and it is suggested that you consume at least one meal a day of it. You can choose your ingredients that you would like in your congee. It can also be used for sick infants. Slice the sweet potato and carrot up. Place all the ingredients into a saucepan except for the sesame oil and the salt. Divide into 4 portions and consume daily. For sickness and when post-natal and recovering from birth, you may wish to add in chicken bones and chicken stock. Or any other meat on the bone. Fresh ginger can also be used in winter to assist with warming up the body and assisting the spleen and stomach function. Pickled veggies and soy sauce may be added for taste. A raw egg can also be stirred into the congee and it cooks itself for added protein. A favourite of mine while I was recovering after the birth of my girls was ginger, chicken and egg congee which I ended up eating for lunch. This can also be cooked in a slow cooker. « Launching at the end of May….Fit for 2 PRO!